Natural Remedies for Ear Infection Ear infections are caused by bacteria or viruses in the middle ear. Ear infections occur more often in children than adults. 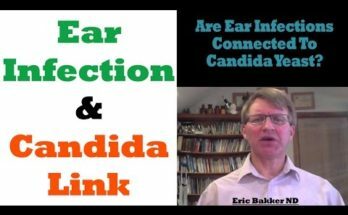 Some causes and contributing factors that lead to ear infections are wax buildup, upper respiratory infections, food allergies, environmental allergies, genetics, nutritional deficiencies and internal injuries. Some common signs that someone is suffering from an ear infection are pain in the ear, tugging at the ear, difficulty sleeping, headache,poor response to sounds, high fever and fluid draining from the ear. 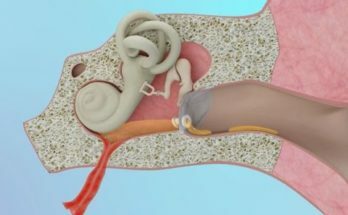 The ear is made up of three parts: outer,middle and inner. An ear infection can occur in any of the three parts. Inner ear infections are the most serious. It is important to treat an ear infection to prevent complications, including damaging or rupturing the ear drum. 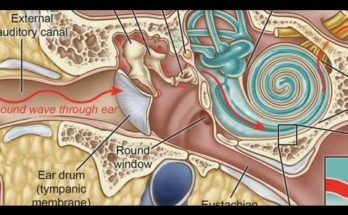 There are many time-honored, simple and easy home remedies that can help to get rid of the pain and other symptoms of an ear infection. 1. Salt Salt is probably the most readily available home remedy. Heat up one cup of salt on a pan over low heat for a few minutes. You can also heat it in a microwave or double-boiler. Place the hot salt on a cloth and seal the open end with rubber band (or tie a knot). When it is bearably hot, lay down and put the cloth on the affected ear for 5 to 10 minutes. Repeat this remedy daily as many times as needed. The heat generated from the sock will help draw out fluid from the ear and relieve swelling and pain. As an alternative, you can use one cup of rice in the same manner described above. 2. Garlic Garlic has antimicrobial properties and natural pain relieving qualities, making it highly effective in the treatment of ear infections. There are a few ways to use garlic as a home treatment. Make garlic oil by cooking two garlic cloves in two tablespoons of sesame oil or mustard oil until it turns blackish. When it is bearably hot,use two to four drops of this oil in the infected ear as ear drops. Alternatively, you can also boil two or three fresh garlic cloves in water for five minutes, then crush them and add some salt. Put the mixture in a clean cloth and place it against the affected ear. Consuming two to three cloves of raw garlic daily also helps speed up the healing process. 3. Apple Cider Vinegar To get rid of the fungus that may be causing the ear infection, apple cider vinegar is a good option. Mix one part apple cider vinegar with an equal amount of water or alcohol. Put the cotton ball in your ear like a plug and leave it for about five minutes. Remove the cotton ball and lay down on your opposite side to drain the liquid from the ear. Use a hair dryer to dry your ear as much as possible. 4. Olive Oil One of the main causes of an ear infection is wax in the ear catching some fungal or bacterial growth leading to a blockage in the Eustachian tubes. You can easily clear the obstruction with the help of olive oil. Warm some olive oil slightly. 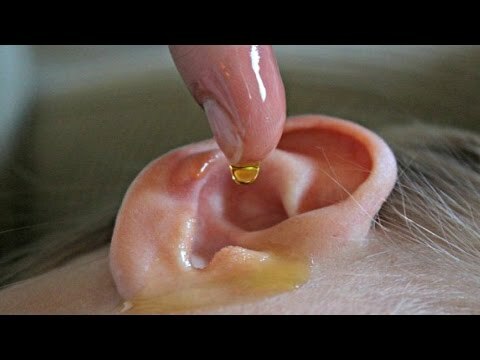 Put a few drops of the warm oil into the infected ear. The oil will cause the wax to soften. Remove the infected wax with cotton-tipped swabs. Be careful not to put the swab too far in the ear or you might damage the eardrum.